About a third of Ningxia Autonomous Region is Hui people, living mostly in the south of the region. 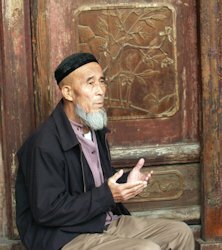 The Hui minority are descended from the Arab and Iranian traders who traveled to China during the Tang Dynasty. Immigrants from Central Asia increased their numbers during the Yuan Dynasty. They are involved in many occupations, with the Hui working as shop and restaurant keepers, artisans and peasants. The Hui are essentially the same as the Han, except that they are Muslim, the Islamic religion having been introduced by Arab soldiers and merchants 1,200 years ago. The Hui are very scattered. 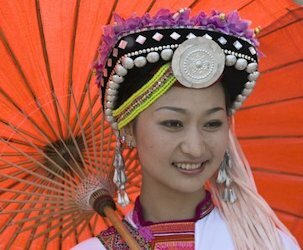 The Hui are found in Gansu, Qinghai, Shandong, Yunnan, Anhui, Liaoning, Hubei, Henan, Jiangsu, Shanxi, Sha'anxi, Sichuan, Yunnan, and Hunan Provinces. They are part of the Sino-Tibetan Sinoitic ethno linguistic group.